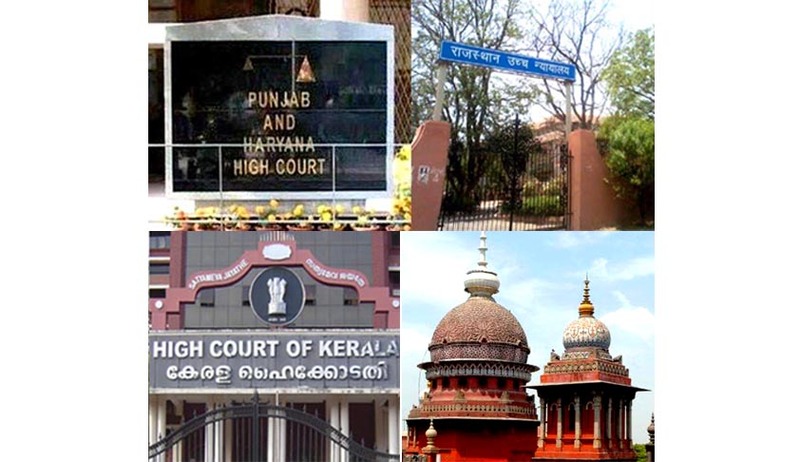 As per the Judges Transfer policy in vogue, Supreme Court Collegium, headed by Chief Justice of India RM Lodha, has decided, in principle, to transfer Chief Justices of Punjab & Haryana, Kerala and Rajastan High Courts and few puisne Judges of various High Courts. An ET Report quotes Senior High Court officials familiar with the development as revealing that four judges have already received consent-seeking letters from the CJI indicating the move to transfer them. Report also quotes a senior high court judge clarifying that while the transfers are "sudden and rare", they could be due to administrative reasons keeping in view promotion of judges and vacancies. According to the ET report, Justice Kaul referred to the concept of “seeking consent of a judge” as a mere "procedural formality". He added that, "If the judge concerned has a reservation on his transfer, he can write back to the CJI and convey the same. However, the final decision vests with the Supreme Court." Justice Jasbir Singh, who is the senior-most judge after the Chief Justice Punjab and Haryana High court, is likely to be transferred to Rajasthan. Justice Ashutosh Mohunta of Andhra Pradesh High Court is likely to return to Punjab and Haryana High Court as the senior-most judge after the Chief Justice. Chief Justice of Kerala High Court Manjula Chellur is likely to be transferred to the Calcutta High Court. Kerala High Court's senior-most judge after the Chief Justice, Justice KM Joseph, is likely to be transferred to Uttarakhand High Court. Justice Navin Sinha of Patna High Court is being considered for transfer to the Chhattisgarh High Court. Justice Sunil Sinha, Judge of Chhattisgarh High Court, could be transferred to the Sikkim High Court. Chief Justice of Rajasthan High Court, Justice Amitava Roy, could be transferred to Orissa High Court. The current Chief Justice of Orissa High Court, Justice Adarsh Kumar Goel, was elevated to the Supreme Court last week. In Furtherance of these transfers, a TOI today reported that Justice Sanjay Kishan Kaul’s name has been given a green signal by the Supreme Court for the post f the Chief Justice of Madras High Court. He is the present Chief Justice of Punjab and Haryana High Court. His appointment will be confirmed once the Tamil Nadu Government communicates its agreement in a time bound manner. Without an express communication, silence would be considered consent. Madras High Court was being headed by the acting Chief Justice Satish K Agnihotri. Justice Kaul has had a 19-year old practice, and is a member of several exalted institutions and clubs like India International Centre, India Habitat Centre, Indian Law Institute, Delhi Golf Club, Delhi Gymkhana Club and Roshanara Club.